Availability ON BACKORDERGround shipping guaranteed 3 days or less for contiguous US! See-through frosty vinyl. Protects machine from dust. Your sewing machine is probably your most treasured sewing aid, so why not take the utmost care to keep it in fine running order. 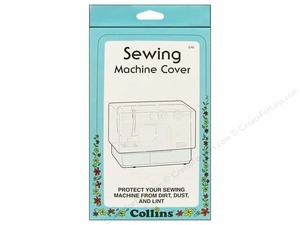 Use the sewing machine dust cover to protect it from dust, dirt and lint.